Having clean, filtered drinking water at home, that is 99.99% bacteria-free, is the first step toward a truly healthy lifestyle. We drink water every day, and the last thing we would want to worry about is whether the water we’re drinking carries any potential danger to our health or not. While water from our water districts is generally clean and potable, many people are still not confident in drinking anything that comes out of their faucet. Water pipes are not as reliable as before. So, people resort to a couple of options—the old-fashioned way of boiling the water from the tap (which is rather inconvenient and not at all the most effective way of purifying water), buying bottled water (which could be costly in the long run), or purchase water from water-refilling stations (not all of which have proper product registration or updated water test certifications. Plus, those slim and round 5-gallon containers are not BPA-free). Fortunately, there is now an easier, more effective way at having really clean drinking water, without any of those hassles. 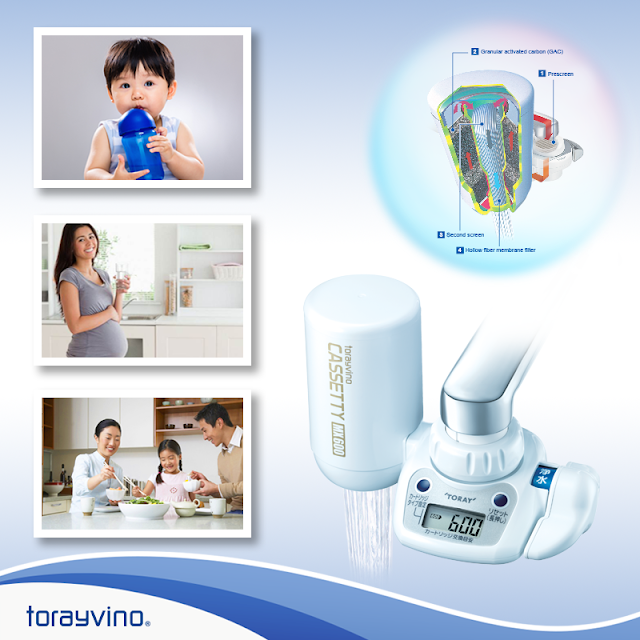 It’s called the Torayvino compact faucet-mounted water purifier, an easy-to-use water filtration system from Japan that could eliminate bacteria that causes diseases such as amoebiasis, cholera, and diarrhea, among many others. The water filter is compact enough to fit in an individual’s palm, but works perfectly at filtering out chlorine and other substances that might bring about any untoward smell, taste, or turbidity (color) in your water. Even better, essential minerals that are naturally found in water are retained. Torayvino comes from a company called Toray Industries, Inc. Established in 1926, it has presence in over 20 countries (including USA, UK, China), with some 46,000 employees. 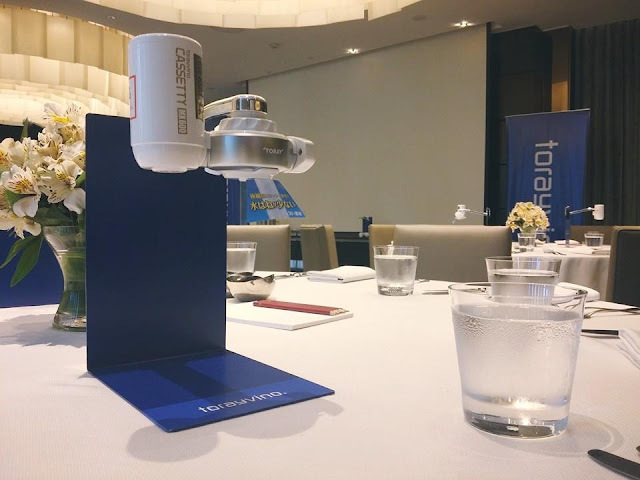 It has a 66 percent market share among faucet-mounted filtration systems in Japan, which says a lot about how reliable and effective the product is. Torayvino produces 99.99% bacteria-free water through a 4-stage filtration system: The pre-screen removes impurities bigger than 465um such as rust, sands, sediment, and particles; while the second screen removes impurities bigger than 114um, those that couldn’t be removed by prescreen. The granular activated carbon strongly removes residual chlorine, harmful chemicals, and bad odor; while the hollow fiber membrane precisely removes contaminants in the 0.1um unit such as bacteria and other microorganisms, rust, turbidity, and microscopic impurities. The good thing about the Torayvino water filter is that it comes with different attachments that ensure you’ll be able to use it with basically any faucet you may have. Installing it requires no knowledge in plumbing, and running it needs no electricity. At P1,980 for the whole unit (and P1,380 for one cartridge), that is a great deal. That means clean and safe drinking water at only P0.92 per liter, as opposed to about P1.85 per liter from water-refilling stations. For health conscious individuals, having 99.99 percent bacteria-free purified water is of utmost importance. Thankfully, the Torayvino faucet-mounted water filter is here. Safe, convenient, cost-efficient, and aesthetically beautiful. More importantly, it works.